Rev. Dr. Bertalan, Imre , Sr.
Gergely, Árpád: The Face Behind I Hide (2006 in honor of the 1956 Hungarian Revolution) Read more and see how to order from the author directly. Muhl, Thomas P.: "Retouching Stalin’s Moustache" is available onAHF's Amazon bookstore! [Click Here] to order on or [read more] about the book. The Fall of the Red Star (A VörösCsillag Lehüll) [read more] or buy now on AHF's Amazon Store! My Only Choice: Hungary 1942-1956 [read more] and buy it now on AHF's Amazon Store! You will need the free Adobe Reader to open the following files. Our own Tibor Purger writes for the Magyar Szo, a Hungarian opposition news agency in the Vajdasag / Vojvodina Province of Yugoslavia. In Hungarian. See the International Crisis Group Report on Serbia from July 1994: Serbia's Changing Political Landscape, a Briefing. An excerpt regarding Serb violence: "Some Serbs in Vojvodina are demonstrating behaviour reminiscent of that which they so frequently and vociferously condemn the Kosovo Albanians." "The Hungarian Revolution and America’s Decision Not to Intervene: A Personal Statement" by Thomas J. Torda, Ph.D., Fairfax, VA, November 2006. [a summary of the author’s 6000-word article on this subject submitted to the September 2006 conference in Budapest on the 50th anniversary of the Hungarian Revolution] "...like many Hungarian-Americans, I feel that the US Government made serious mistakes both in the years before the Revolution and during the Revolution itself." 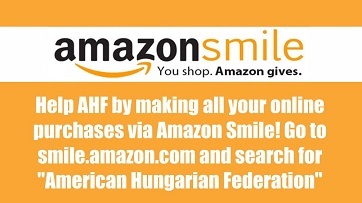 Help AHF by purchasing all your products using Amazon Smile! You pay nothing more and AHF earns a small percentage! Tokaji Wine: Fame, Fate, Tradition: A Journey into Tokaji Wine History -a book that Wine Spectator called "the most comprehensive reference book on Tokaji available in the English language." Masahiro, a thirteen-year-old fisherman’s apprentice, is shipwrecked and rescued from certain death on Mujin-Shima by an American whaler, Captain Higgins. [read more] and buy it on AHF Amazon's Store! Emerging from author Stephen Sisa's exhaustive research and his knack for the interesting and colorful, this landmark work illuminates the drama, the struggles, the pinnacles, the depths, the genius, the indomitable Magyar spirit which mark the 1100-year rhapsody of this nation's existence. 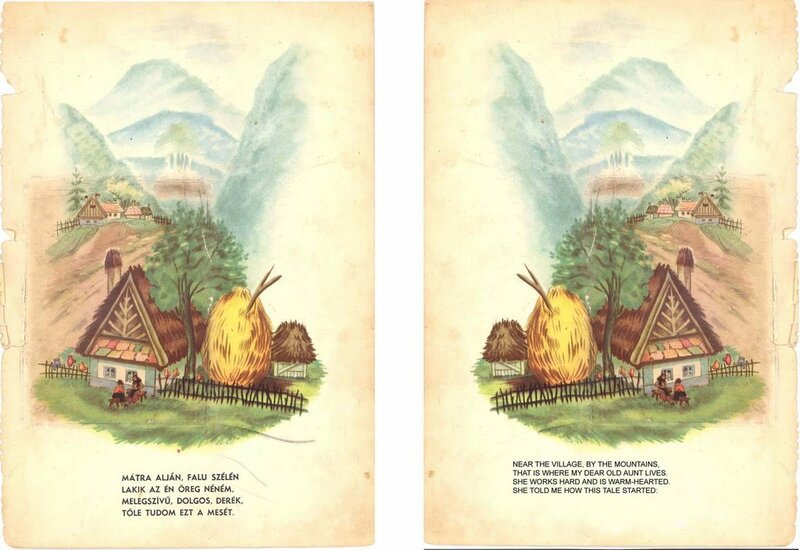 All this comes alive on 374 album-sized pages with 260 illustrations and 35 maps that reflect the panorama of Hungarian history and culture. ”It happened to me!” are the most powerful words in the human language. ”My Only Choice” is the story of what happened to me! It is the pursuit of freedom as lived through the coming of age journey of a seven year old little girl who becomes a woman and mother in Hungary. Nazism and Communism are equally cruel, life is a matter of survival. Our life is a libretto in which we play the lead, but the script has to be invented as we live it. [Read more] and Purchase the book onAHF's Amazon Store! New Book: "The Kingdom of Hungary and the Habsburg Monarchy in the Sixteenth Century," by Dr. Géza Pálffy. "Két esztendő fordítási és nyomdai munkálatait követően megjelent másfél évtizedes kutatásaim alapján írott, angol nyelvű, összegző monográfiám a 16. századi Magyar Királyság történetéről." Buy it now on AHF's Amazon Store! "The very embodiment of American journalism"
A veteran of the Civil War and a member of the 1st New York Cavalry Regiment which he joined almost immediately upon his arrival in the US. He would quickly become the first publishing tycoon, promoting excellence in journalism and eventually founding the Pulitzer Prize. He was also responsible for building of the Statue of Liberty!